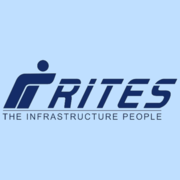 RITES Ltd Recruitment 2019 - Job notification for JGM/ AGM (Mech) Post in RITES Ltd, Gurugram, Haryana on Deputation Basis. Applications are invited by RITES Limited on or before 30 Apr 2019 for 1 vacancy. Max- 52 years as on 01 Apr 2019. The officer should have 7-10 years of supervisory experience in Operation & Maintenance of diesel-electric locomotives (desirable) and 12-15 years of experience in JS/SS in a managerial capacity in PU/Zonal HQ/ROSO/Workshop/Diesel shed. He shall be responsible for maintenance support for exported diesel-electric locomotives. Eligible candidates may send their CV in a prescribed format (attached below) through respective administrative officer (HQ/Board) indicating No Objection, Vigilance/DAR clearance and ACRs for the past 07 years to RITES Limited, Rites Bhawan, No.-1, Sector-29, Gurgaon- 122001 on or before 30 Apr 2019.